FAQs / I’m a school teacher. 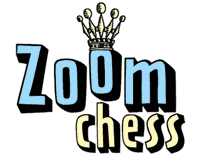 How can I use ZoomChess in the classroom? You can get a group subscription. Each student will have their own ZoomChess account. You can use ZoomChess in any space in the school with computer & internet access. You can watch lessons together, by plugging any computer into a smart board. Or if you have access to a computer lab, all the kids can access their own ZoomChess accounts at once. We encourage school teachers to have at least one physical chess board in the classroom, such as a roll-up vinyl tournament set.